Decks, balconies, walkways, stairways, pool decks, interior/exterior floors, and more. Ideal for revitalizing weathered or worn wood, concrete decks & damaged hardscape. Available in a limitless array of colors, patterns, and textures. Provides added safety: Class A fire rated, slip resistant, and heat resistant. Easy to maintain: resists mold, mildew, and staining. 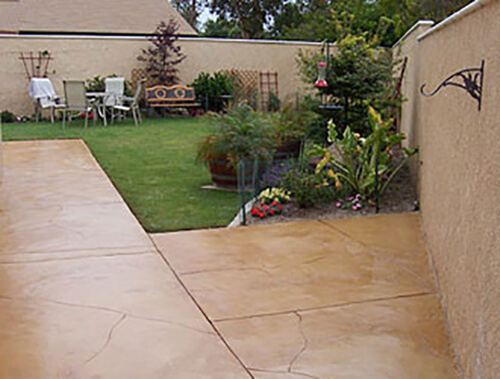 Established in 1986, Tuff Kote Systems has provided exceptional quality decorative finishing services for thousands of satisfied residential and commercial clients throughout Orange County and the greater Los Angeles region. We provide top brand name decorative finish systems for decks, balconies, walkways, stairways, pool decks, interior and exterior floors and other surfaces, and do so at very competitive prices. Our durable and versatile decorative finishes are the ideal solution for revitalizing the look of your home or business facility's dull or weathered wood or concrete deck, balcony, or floor, or damaged hardscape surfaces. At Tuff Kote Systems, we can install beautiful decorative finishes in a limitless variety of colors, patterns, and textures. We offer a smooth finish in an extensive selection of colors, as well as textured finishes such as knockdown and orange peel. 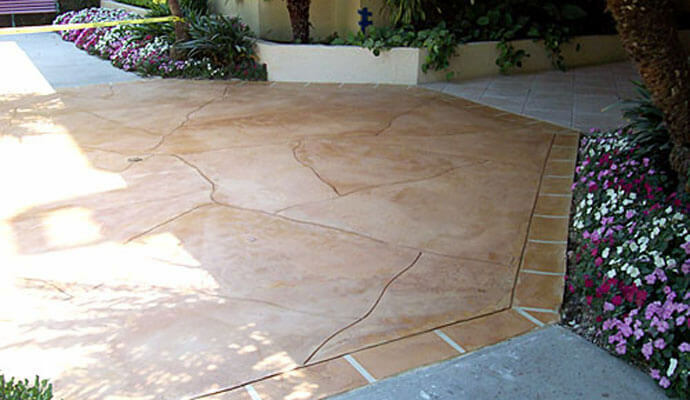 And through the use of stencils and overlays, we can achieve the latest decorative faux finish looks, including faux stone designs such as slate, cobblestone, and flagstone, and also faux tile looks. Our durable decorative finishes are mold, mildew, and stain resistant, making them very easy to maintain. They are formulated to be stronger than conventional concrete, and due to this characteristic, add to the durability and structural integrity of the decks, balconies, stairways, walkways, and other surfaces where they are installed. In addition, they also provide added safety to these surfaces: They possess a Class A fire rating, and they are also slip resistant, and will protect your family, employees, patrons, and guests from slips and falls. Moreover, they are also heat resistant, and will keep the outdoor surfaces they beautify comfortable to the touch in hot, sunny weather. Contact the decorative finishing experts at Tuff Kote Systems today. We install our durable, premium quality decorative finishes at very competitive prices, and stand behind them with excellent warranties. We provide estimates to all of Orange County and the greater Los Angeles region, and accept Visa, Mastercard, American Express, and checks. Tuff Kote Systems is licensed, bonded, and insured.